The depiction of the Lord Jesus Christ in art goes back as early as the second century AD. One of the earliest known images, depicted in numerous 2nd century paintings and sculpture, is the figure of the Good Shepherd with a lamb around his shoulders, representing Christ's care for those he has saved (see photo below on the right). 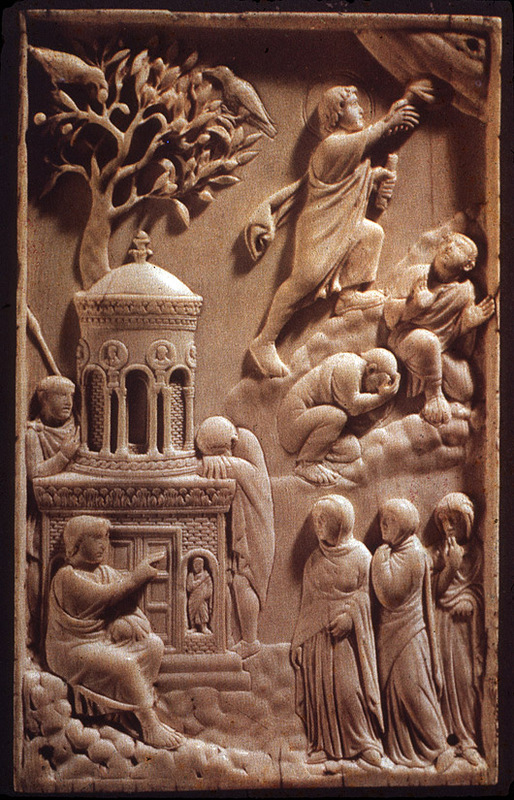 In the 3rd and 4th centuries, more varied images of Christ and scenes from the New Testament Gospels appear, as well as scenes from the Old Testament. Depictions of Christians at prayer with raised hands and the Agape feast also appear at this period. The use of icons in homes and churches became widespread in the 4th and 5th centuries. 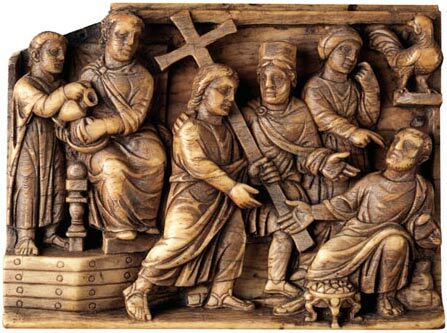 The iconoclast wars, first among Eastern Christians in the 8th century and later during the Reformation in the West, centered on the Old Testament prohibition of graven images (Exodus 20:4). Christians have argued for and against images of Christ ever since. The fact of the Incarnation – God becoming man and taking on human flesh – has inspired artists throughout the centuries to recount the Gospel accounts of Christ as well as other biblical stories throughout the Old and New Testaments. 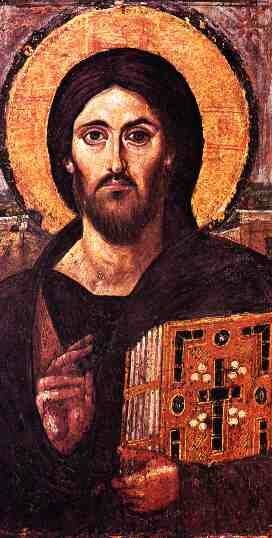 “Christ Pantocrator” is one of the earliest surviving icons of Jesus Christ (see top photo on right). 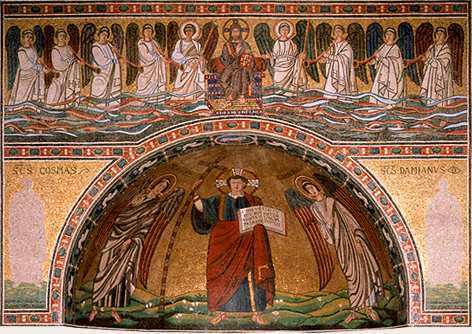 It dates from the early 500s (6th century AD) and is housed in the church at St. Catherine's Monastery, Mount Sinai, Egypt. The Greek word pantocrator means “ruler of all.” The icon is painted with colored beeswax applied with spatula (encaustic technique) onto a wooden panel and measures 84 cm by 45.5 cm. In the icon image, Christ is robed in a purple tunic, a color which signifies royalty. He is holding a copy of the Gospels in his left hand while his right hand is raised in blessing. The icon depicts Jesus Christ as both Ruler of all, thus our Judge, and as Savior of the world who brings us the Gospel, the good news of salvation and life-giving Word of God. The eyes are asymmetrical, most likely to contrast the two natures of Christ as both human and divine – and to depict on the one hand the Judge who sees all (nothing remains hidden to him), and at the same time he is the Savior who looks upon us with mercy. The face painted on the icon was most likely copied from the Image of Edessa (also called the Myron or Holy Mandylion), a rectangular piece of cloth with an image of the face of Christ on it, kept in the Greek city of Odessa in the 4th century, but has subsequently been lost. It was believed to be the rectangular piece of cloth that covered the face of Jesus for his burial. The facial image on the Shroud of Turin, which is believed to be the full burial shroud of Jesus, also matches the image of the face of Christ in the icon.